Afghanistan sealed a historic first Test win as Ihsanullah and Rahmat Shah's 139-run stand underpinned a seven-wicket triumph over Ireland at Dehradun, India. The nominal hosts were set what was thought to be a tricky fourth-innings target of 147 against their fellow Test newcomers but Ihsanullah and Rahmat broke the back of the chase with an authoritative stand. Rahmat added to his first-innings 98 with a composed 72 before he was stumped off James Cameron-Dow, running down the track looking for the one big hit to give Afghanistan victory. 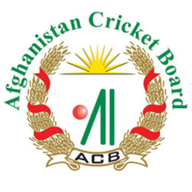 Mohammad Nabi was run out off the next ball but Hashmatullah Shahidi thumped his first delivery for four to get Afghanistan over the line, with Test debutant Ihsanullah (65 not out) at the other end.